A lighted tacklebox makes setting up for fishing a whole lot easier. For early morning and late-night fishing in low light settings have an LED light on a tacklebox is super convenient. 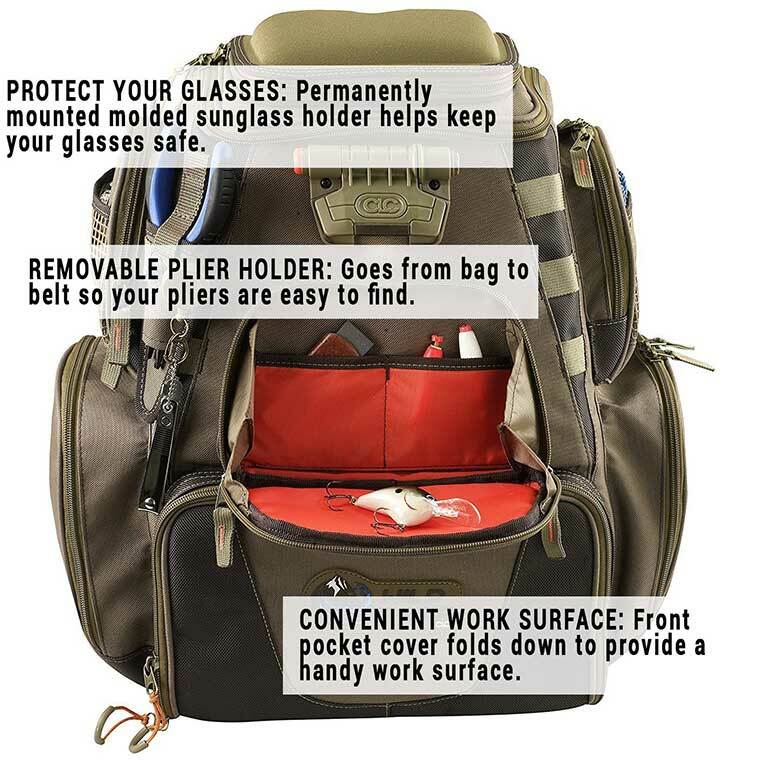 This pack has adjustable padded straps, a plier holder, sunglass holder, and many pockets. Having a tackle backpack makes it super easy and convenient to travel with fishing tackle. This backpack even has an integrated LED light that makes it easy to find tackle even in the early mornings before the sun comes up. The front pocket folds out to give an easy work surface. With this present, they’ll never have to wonder where the pliers are again.